Photonics is a term often used in relation to light-based circuits, but it is actually more inclusive, including the generation, emission, transmission, modulation and signal processing of light. 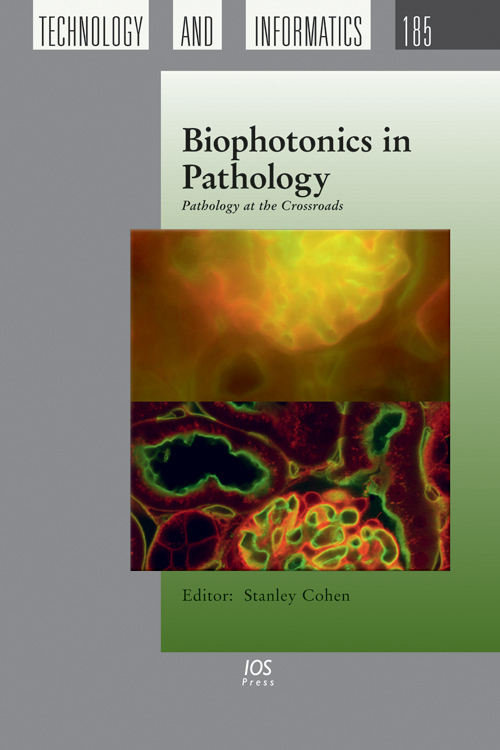 Biophotonics is therefore a term which can be used to describe the development and application of optical techniques for the study of biological molecules, cells and tissues. This book presents some of the most promising new image-based and related technologies which have evolved in the last few years for the study, visualization, characterization and analysis of abnormal cells and tissues, and discusses their current and potential applications in experimental pathology and clinical pathological diagnosis. The book contains more than a dozen papers contributed by experts in the field, and the technology is described in a manner accessible to an audience of pathologists, cell biologists and biochemists as well as biomedical engineers. Subjects covered include: advanced methods in fluorescence microscopy, automated image interpretation and computer-assisted diagnostics, magnetic resonance microscopy, impedence measurements in the biomedical sciences and raman scattering in pathology, among others. There is an increasing convergence of radiology and pathology, and although this book has been written from the perspective of pathology, it demonstrates a confluence of methodologies similar to those applied in radiology with morphological analysis at the cellular and tissue level, and will also be of interest to radiologists, as well as to other scientists and engineers working in overlapping areas.